To see onion in a dream refers to dreams, indirect information, inconsistent behaviors and uneconomical spending and income. To see of eating onion in your dream means that you will hear rumors about you and by confronting these people making rumors, you will make these people feel sorry. To see onion without eating in your dream refers to irregular but a lot of money. If you see onion with pocketed in your dream, it means that you will acquire a big wealth. To see that you plant or another person plants onion in your dream signifies that people around you start to know you as inconsistent because you give different reactions to the issues in every times. To collect or uproot onion from the land in your dream suggests that the majority of your dreams fulfill. If you see that as you uproot the onions, its land is coming with that, it denotes that there are loyal friends who will be always with you and help you because of the fulfillment of your dreams. To see green onion refers to rumor and dreams which won’t fulfill. If you see onion, it refers to money and property. To see onionskin is very good in your dream. Abundance will happen in the place where you see onion, opportunities will emerge and there will be a lot of money and golden. To cut or slice onion in your dream may indicate that you don’t want to hear bad statements about you, nobody will take accusations about you serious. To see onion in a garden, field in your dream signifies that you have more than one friend who tries to direct you in the wrong way. There are ill-intentioned people who envy your relationship or job. To throw, give or sell onion in your dream may imply that by spending your money uneconomically, you will need that money for more important job later. 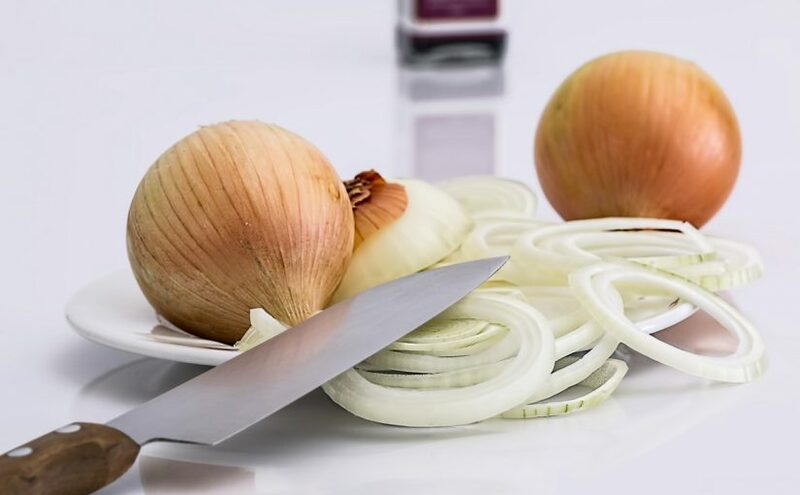 To see of buying onion in your dream may indicate that you will have financial problems because of expenses of a lavish person within family and your family will overcome this trouble with your efforts. Copyright © 2013 - 2018 Dream Interpretation.co All Right Reserved.